First we need to define the goal. Here’s my definition of being good at drawing – you look at a drawing you’ve done, and you think ‘hey that’s really good, I like that’, and you feel proud showing it to people. It is what you hoped it would be. With this definition, it’s about you and what you want. We can’t really control what other people think. Learning to draw well takes a long time but not a lifetime. The easiest evidence to point to is great, young artists. If you need a lifetime, how come they are good early in their lives? 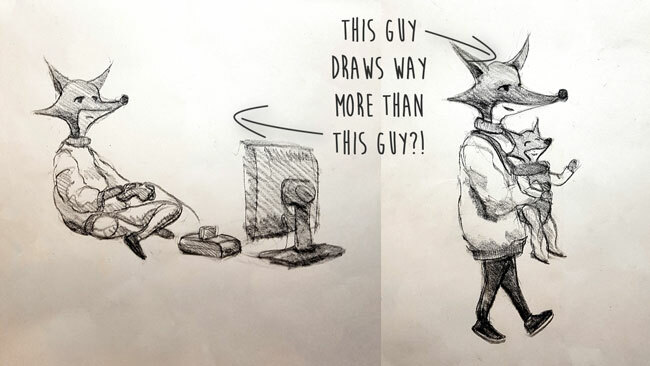 There are plenty of excellent artists that have been drawing properly for less than 5 years. 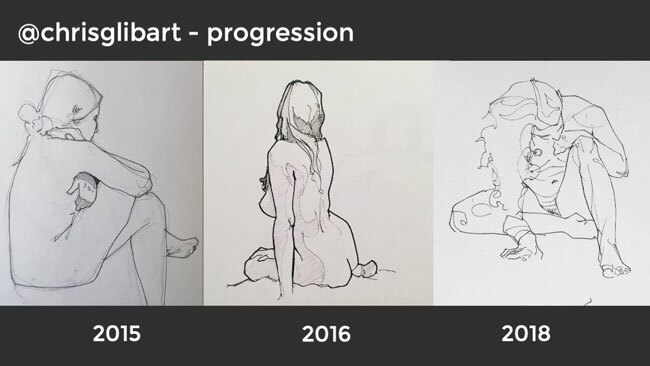 And you can also see how far people have been able to progress even in 3 years. 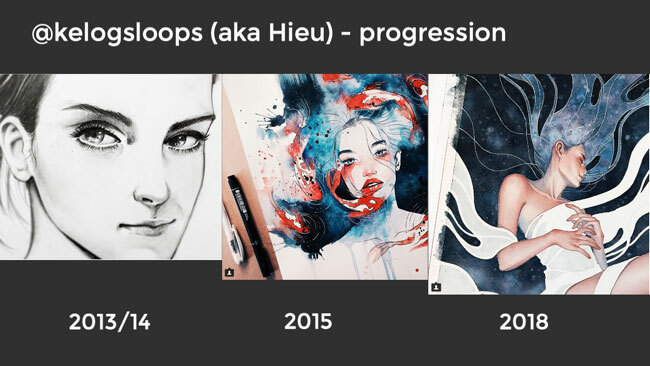 Sometimes I scroll back in people’s instagram feeds to see how their artwork changed, and so often I’m so impressed how much improvement they’ve made in a few years. But maybe you need to be young? You might worry that you needed to have learned as a child or teenager to become really good, because it’s perceived as a great learning age, right? Athletes usually have to start when they are kids to become world class, for example. But that is because of physiology – they also usually have to retire from their sport in their 30s while great artists can keep going into old age. Most things are learned just as well by adults as by kids, if not better. 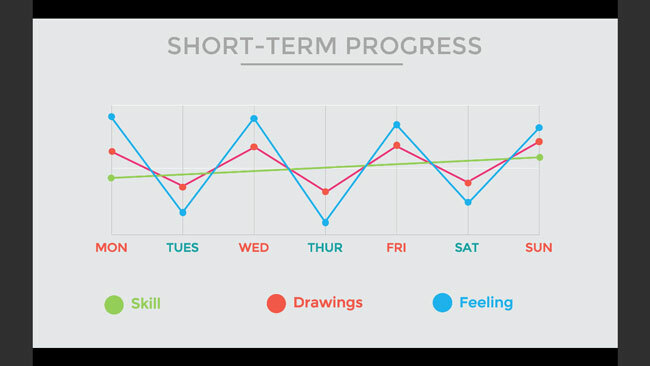 But kids do have some advantages learning to draw: 1) they have more time to dedicate to it and 2) we actually give them the chance to learn. There isn’t this pressure to draw to a certain standard. 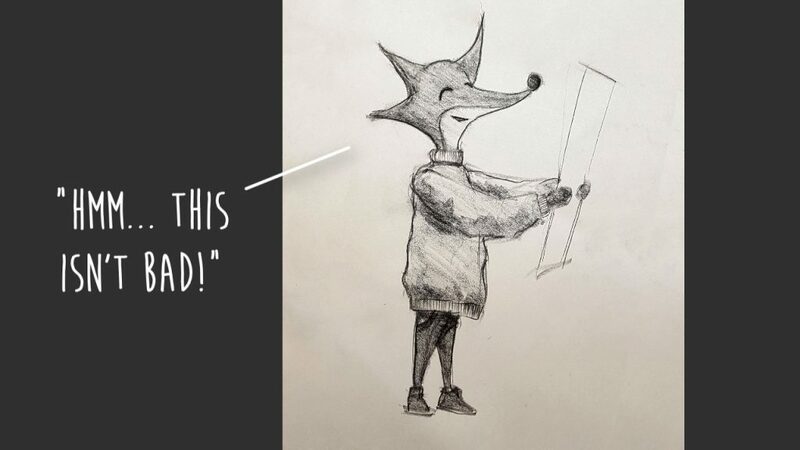 If a kid does a drawing that looks like a kid’s drawing, they’re praised for it. 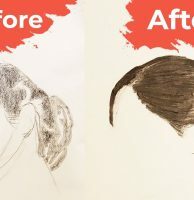 And rightly so – that’s how you draw when you’re learning. But for some reason, people consider it silly if an adult does the same learning drawings. So we can learn something from that – dedicate plenty of time to it and relax the expectations on each drawing. Van Gogh did all sorts in his life – he worked in a bookshop, he was a supply teacher for a school, a minister’s assistant. 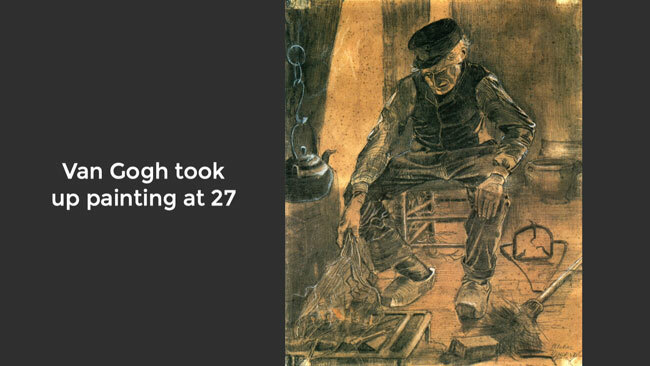 When he has 27, his brother encouraged him to take up art in ernest. 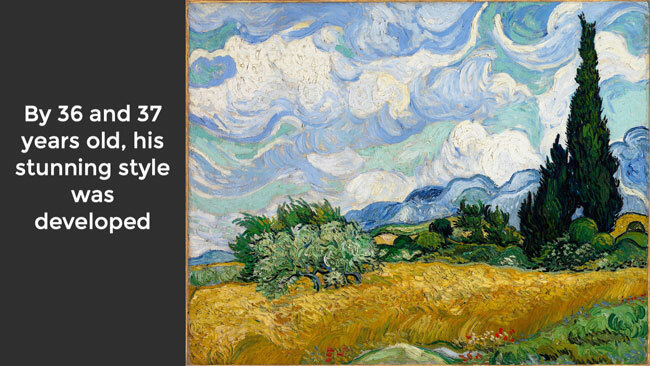 Van Gogh’s time as an active artist was just the 10 years before his suicide. In that time, he drew and painted like a madman. He became, in my opinion, the greatest artist to ever live. That’s a hell of a trajectory. You don’t need decades and you don’t need to be young, so what do you need? Firstly, you need quantity of practice, which is about maths. Let’s take a person that’s been practising an hour a week consistently for the last 20 years. They’ve done about 1000 hours of practice. Now another person does 10 hours a week. They’ll get to the same 1000 hour mark in just 2 years. Here is where being a bit older can make things harder. When I was younger I had all the time in the world to mess around, but now I’ve got responsibilities. There’s a few things to do to offset that. 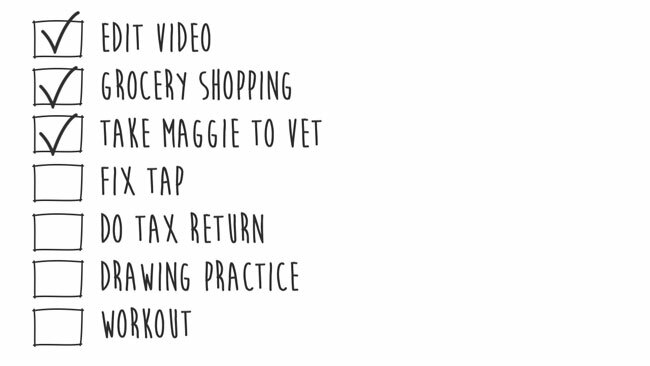 I’ve found if it’s competing for a place on a to-do list, it will often not get done. So for me, for me practice needs to be a habit. Something that I do everyday almost without thinking. Now as the evening winds down, it’s my habit to get out the sketchbook. Secondly, it needs to be relaxing and fun, because habits need to give you a reward, and this way it can take the place of time spent watching TV and stuff like that. Sprinkle on some discipline, and problem solved. And finally, you need your practice to be smart. 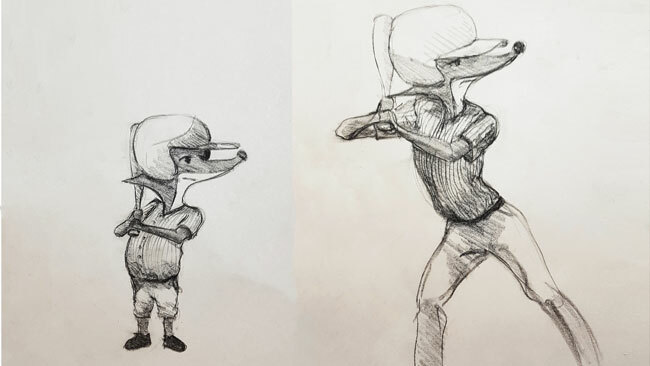 Rather than just drawing without really thinking about it at all, doing the recommended exercises and challenging yourself in the ways you know you need to. If you’re going to worry, worry about your medium term trajectory. That means a few things. 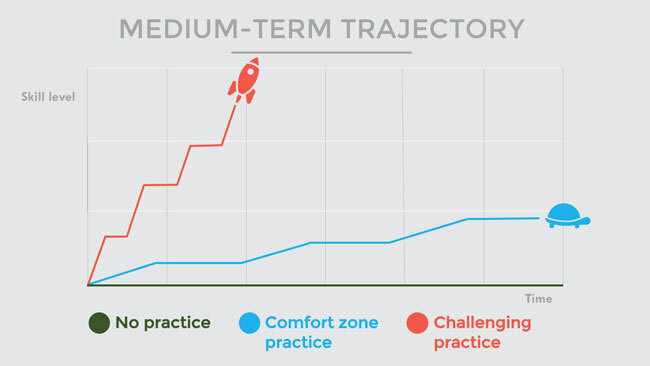 The trajectory part means not how good you are now, but how much you are improving. Start late, not be very good – that doesn’t really matter. What matters is what direction your line is going in. If you don’t practise, it will definitely not go up. If you practise but only do the things you’ve always done and stay in your comfort zone, your line will be very shallow. If you challenge yourself and stay open to learning, even if it means failed drawings, you’ll be on a rocketship. 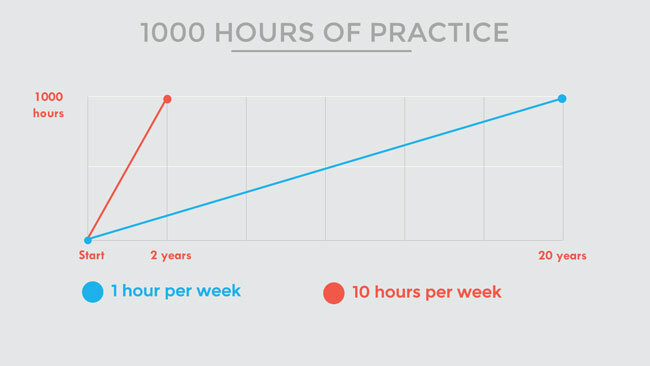 So in the short-term, from practice session to session, your skill level is slowly going up. But the drawings don’t gradually get better. They go up and down when you’re learning. And that means you feel great some sessions and terrible the next session. At least for me that’s how it was, so it was important to let go of the short-term and focus on the medium-term, comparing myself to 3 months ago or more. It’s like how you didn’t feel yourself growing as a child, but you did go from a newborn baby to fully grown. You might have made a little mark on the doorframe to record your height every 6 months, and that way you can see your growth. Your mind is going to constantly look for ways to stop you from just getting on with it. 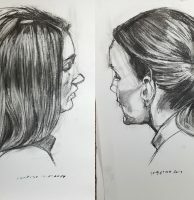 One way to do that is to plant doubt about whether you should even be learning to draw at all, so it’ll throw up doubts like ‘you’re too old’. So here’s the truth: you are interested in drawing. Your eyes are drawn to the visual beauty of the world. Unless you swap eyeballs with someone, that’s not going to go away. You just watched this video for 10 minutes. It took me too long to just accept this truth and just get on with it. 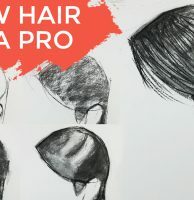 This whole question of whether it’s too late is an excuse to not practise, so let’s stop right here and get on with some practice – do one of our Draw Along videos.